We would like to define fancy cut gems as works of art, gemstones that showcase not only the beauty of nature's creations but also, the talent and expertise of master gem craftsmen. The shape, facets, cuts and polish applied to fancy cut gems can make each piece unique and exclusive. In general fancy cut gems would either land in the treasured collection of gem connoisseurs or, end up in an awesomely designed and crafted jewel. Our suggestion would be to go for fine fancy cut gems only if, you really appreciate them for their artistry and craftsmanship. 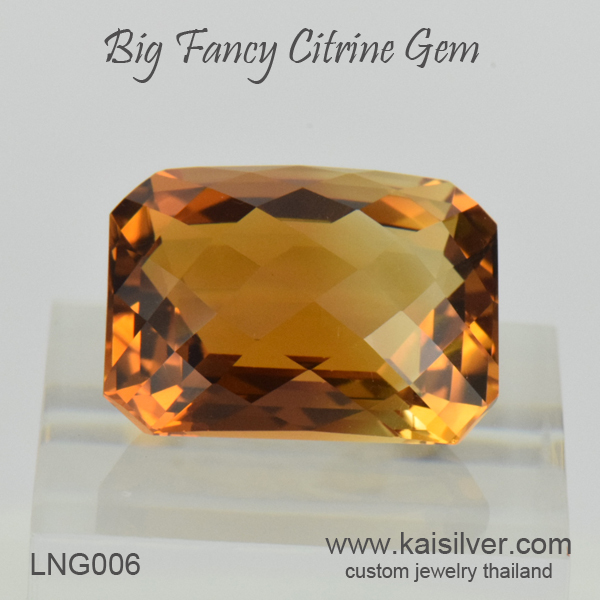 For general gemstone requirements where shape and size are more important than, intricate cuts and innovative shapes, pick from standard merchandise as that would surely be more economical. 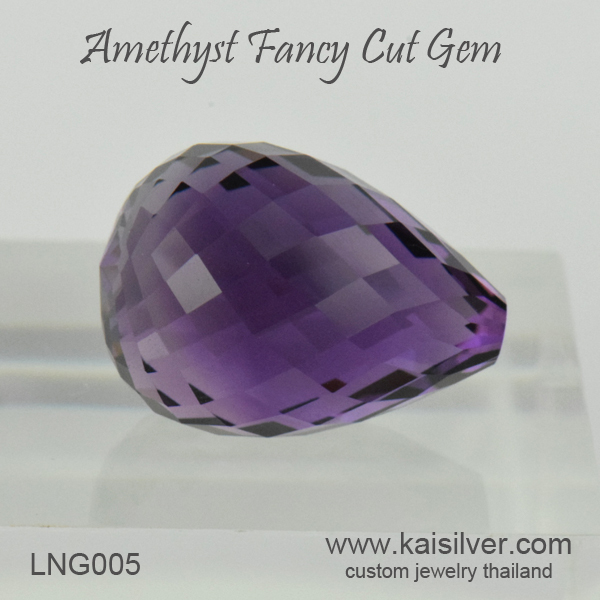 Fancy or speciality cuts as they are often referred to, entail big gem weight loss during the cutting process. It is also common for artisans to redo their creations and this means, discarding some of the pieces that they began to work with. 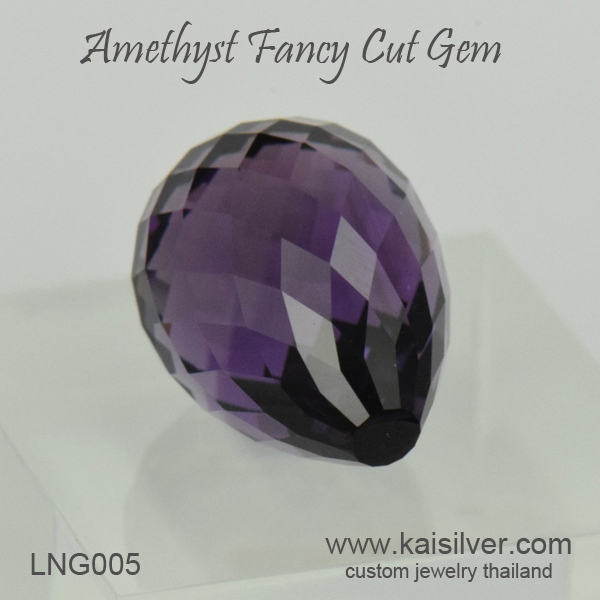 Kaisilver based in Thailand, is the leading online source for high end custom made jewelry. 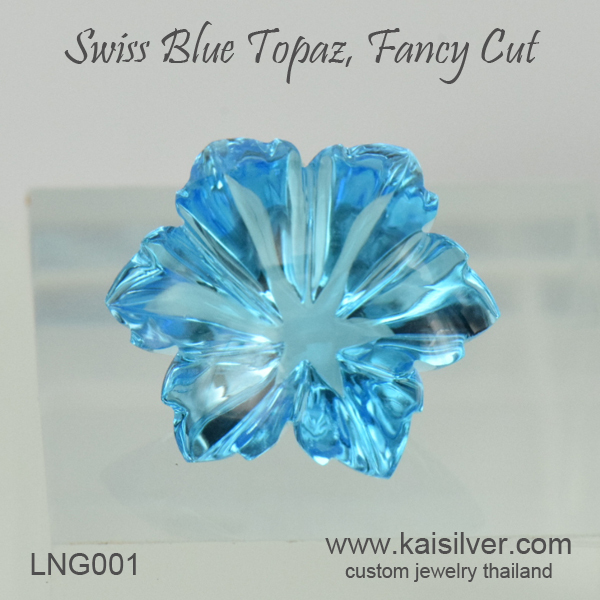 While we generally prefer to make complete jewelry rather than, to sell loose gems, there are times when we do take up the challenge to source and custom cut one-of-a-kind gemstones. We custom make fine jewels in gold or 925 silver, the design and gemstone can be selected by you. Our experts at sales@kaisilver.com will be glad to help you with any questions or product related queries that you might have.